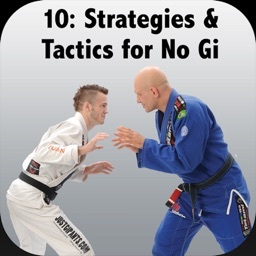 Bigstrong 9 by Grapplearts Enterprises Inc. This is the ninth app in the How to Defeat the Bigger, Stronger Opponent series. 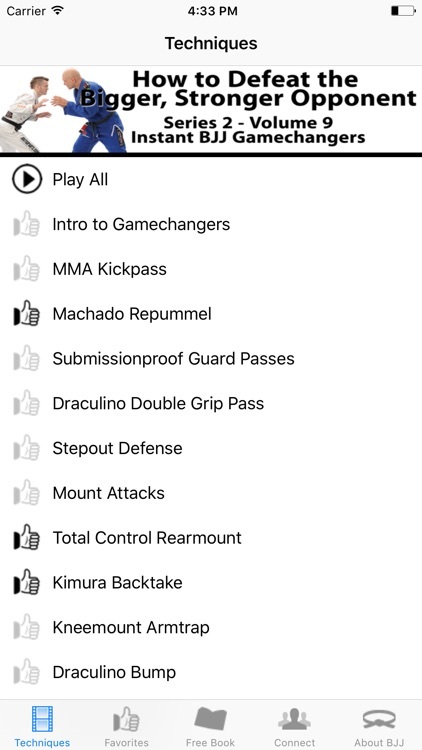 The instruction in this app, Instant BJJ Gamechangers, is all about giving you the tricks and techniques that can change your grappling game overnight. It's full to the brim with the 'AHA!' moments that allowed BJJ black belt Brandon 'Wolverine' Mullins to become a world champion. Teaching in his typical charismatic and entertaining style, Brandon shares the techniques, concepts, tricks, and strategies that instantly made his skills on the mat jump up several levels. 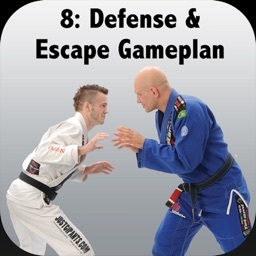 By sharing them with you he's giving you the opportunity to deepen and diversify your own game, and have easy solutions to many of the most commonly-encountered and vexing problems grapplers encounter on the mats every day.